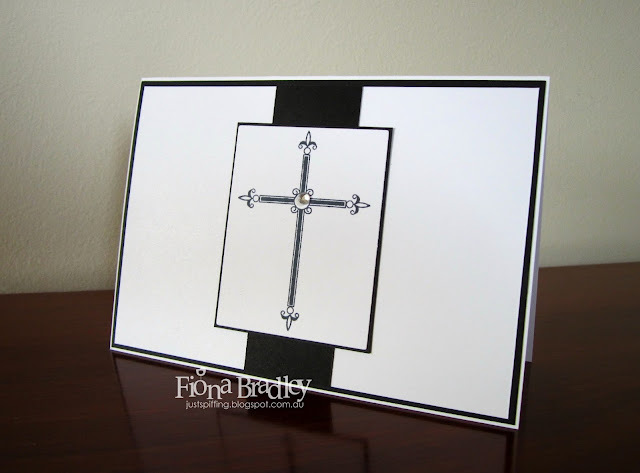 A friend recently asked me to design and make some thank you cards for him which had to be black and white and with a cross on it. He was thrilled with them. So am I! Fiona's notes: I laid everything flat on this card. No dimensionals. I wanted to highlight the cross and make it stand out by keeping everything else low key in the background, including the panel it is stamped on.